Quiet, comfortable and powerful hands-free illumination. The Epic 3V Headlamp is already a top selling headlamp. The Hell's Canyon Speed version improves on its solid design with brighter and more efficient LEDs and circuitry, bearing a camo pattern exclusive to Browning in the realm of hunting gear. Quiet, comfortable and powerful hands-free illumination. The Epic 3V Headlamp is already a top selling headlamp. 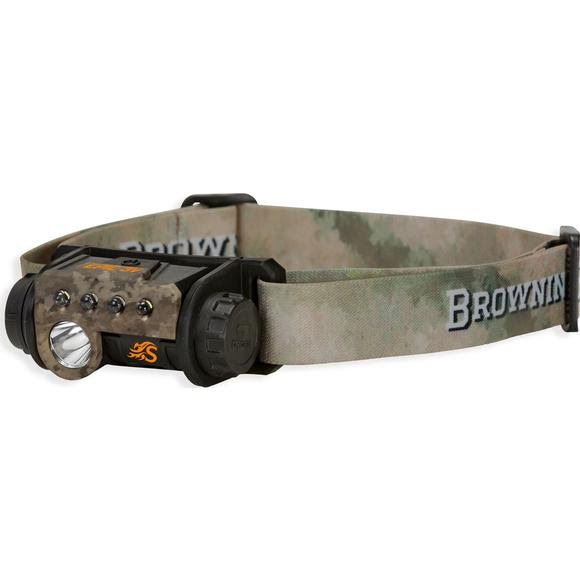 The Hell&apos;s Canyon Speed version improves on its solid design with brighter and more efficient LEDs and circuitry, bearing a camo pattern exclusive to Browning in the realm of hunting gear.